A Texas A&M International University (TAMIU) alum and longtime former faculty member, Dr. Norma Elia Cantú, has been appointed by Trinity University as the Norene R. and T. Frank Murchison Endowed Professor in Humanities. She joined the Trinity faculty this August. 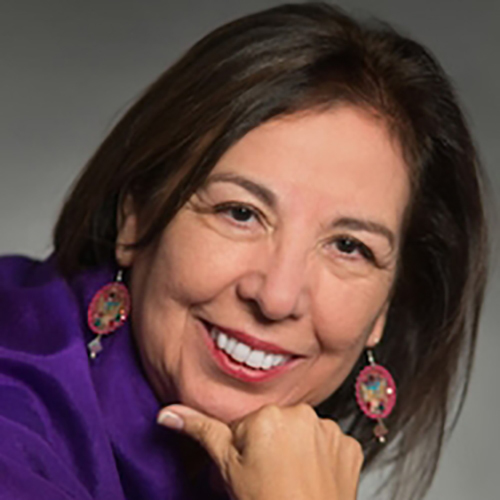 Dr. Cantú, a prominent Chicana/o and Latina/o cultural studies expert and author, was most recently professor of Latina and Latino studies and English at the University of Missouri-Kansas City. Cantú is professor emerita of English and U.S. Latina/o Literatures at The University of Texas at San Antonio. Her teaching career also includes a 20-year tenure on the faculty at TAMIU. Her research and creative writings focus on the cultural and literary production along the U.S.-México borderlands. "Professor Cantú's passion for teaching undergraduates, her significant record of scholarship, and demonstrated leadership with Latino organizations on the local, state, and national level make her an ideal candidate for this professorship," said Michael Fischer, Trinity vice president for Faculty and Student Affairs, in announcing the appointment. Cantú has published scholarly articles on a number of academic subjects as well as creative poetry and fiction. Her publications on border literature, the teaching of English to non-native speakers, quinceañera celebrations and the matachines, a religious dance tradition, have earned her an international reputation as a scholar and folklorist. She has co-edited four books and a collection of testimonios by Chicana scientists, mathematicians, and engineers. Her award winning Canícula: Snapshots of a Girlhood en la Frontera, chronicles her childhood experiences on the border. She is active in a number of Latina/o organizations, including the Latin American Studies Association (LASA), Mujeres Activas en Letras y Cambio Social (MALCS), the National Association for Chicana and Chicano Studies (NACCS), the Chicana/o and the Latina/o Sections of the American Folklore Society (AFS), and the Chicana/o and the Latino Literature and Cultural Studies Forums at the Modern Languages Association (MLA). In addition, she served as a senior arts specialist at the National Endowment for the Arts, Folk and Traditional Arts Program, and is the founder of the Society for the Study of Writer Gloria Anzaldúa and conference coordinator for the Society's El Mundo Zurdo gatherings. She is also co-founder of Canto Mundo, a Latina/o poetry workshop. Cantú succeeds professor Arturo Madrid, who retires as the Murchison Professor in Humanities following a 50-year career in higher education and Latino civic engagement. "I am ready to lend my 'granito de arena' (little grain of sand) to the exciting educational enterprise that exists at Trinity through my commitment to undergraduate education, my community involvement and leadership, and my continued scholarly and artistic production," Cantú said. Cantú earned a bachelor's degree from Texas A&I University (now Texas A&M International University), a master's degrees in English and political science from Texas A&I, Kingsville (now Texas A&M, Kingsville), and her doctorate from the University of Nebraska-Lincoln.